Heather's son jumbled all his dirty clothes together on the floor. A jumble is a confused pile or mass. We'll never sort out this jumble of wires. A jumble is also a state of confusion. The morning after the party, Todd's mind was in a jumble. A jumble is a word puzzle that usually contains 4 or 5 words with the letters in the wrong order. Your job is to unjumble them. For example, when you unjumble RDOW it becomes WORD. 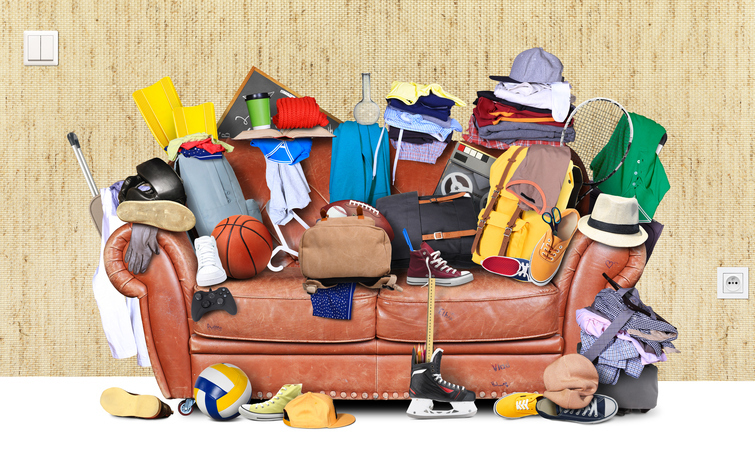 A jumble sale (UK) is a sale of used items such as clothing, toys, books, etc. Watch this children’s program as Mr. Perkins organizes items for a jumble sale. There are other meanings of jumble.